With only a few days left for Holi, the festive mood has already set in all over the country, with various markets popping up and selling up coloured powder or gulaal in various shades, happy holi images everywhere, coupled with shops full of liquid colours, masks, and pichkaris or water guns. But all the fun, frolic and games aside, the food served on holi in itself is quite unique, delicious, and definitely varied, depending upon where you hail from. 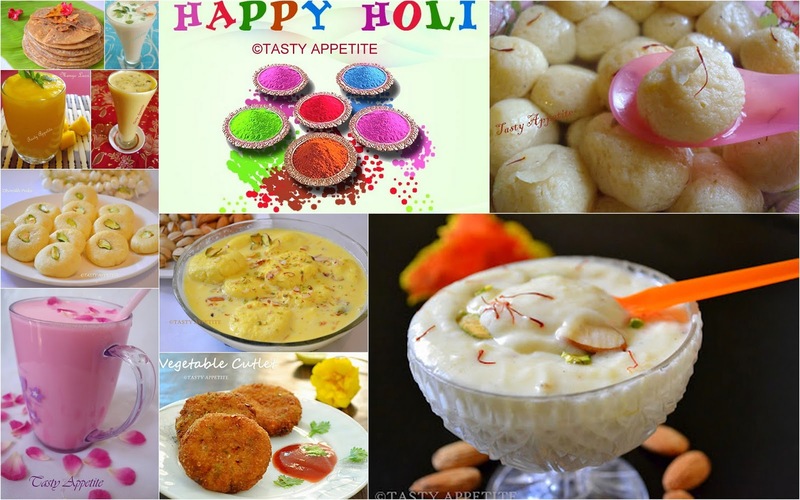 So today, we are going to talk about five special foods served during holi in five different parts of the country. Read on to find out more. 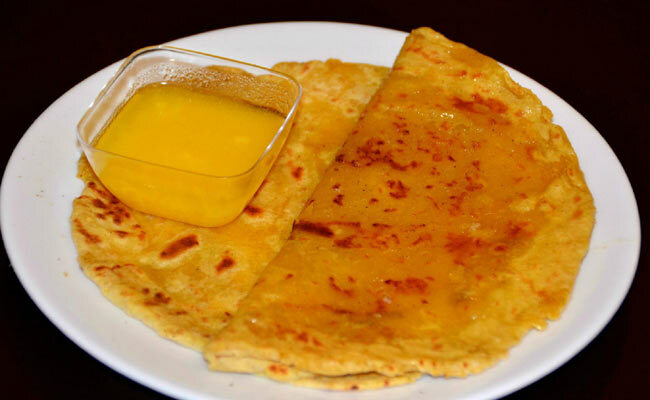 Holi and holi images in Maharashtra is simply incomplete with the festive favourite puran poli, prepared mainly during the festival of holi in almost every Marathi household. It is basically a type of flat bread, with a filling of cardamom, nutmeg and sweetened chana dal. This wholesome and decadent stuffed bread is truly unique and delicious, and something that definitely sets the mood for Holi. 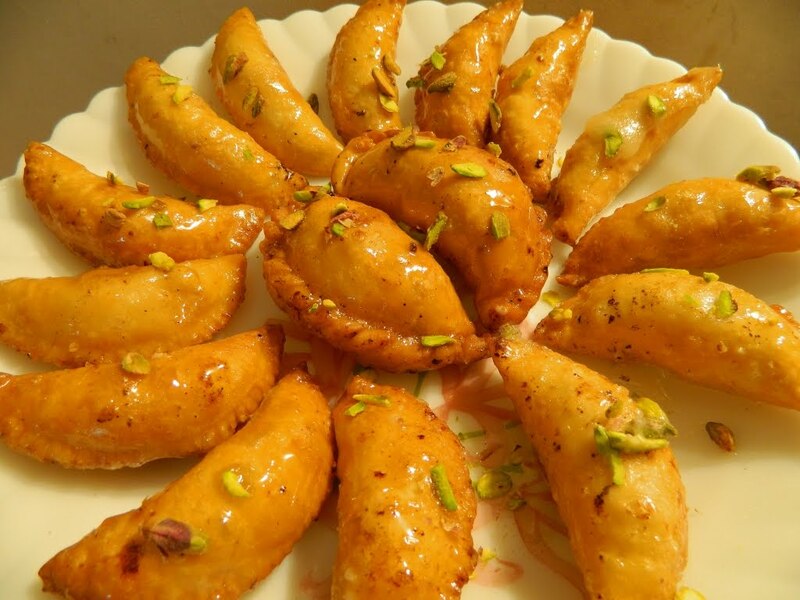 If you hail from Bihar, Madhya Pradesh, Uttar Pradesh, Delhi and Haryana, you would know that holi celebrations are incomplete without gujiyas. These are basically dough pockets filled with jaggery, nuts and khoya filling, deep fried and dipped in syrup made with sugar. The origin of this delicious holi treat can be traced back to Rajasthan, where gujiyas are prepared not only for holi, but for Diwali and Teej as well. Another delicious holi treat from Uttar Pradesh – no holi celebration or holi pictures are ever complete without a bit of dahi vada before the fun and games can begin. 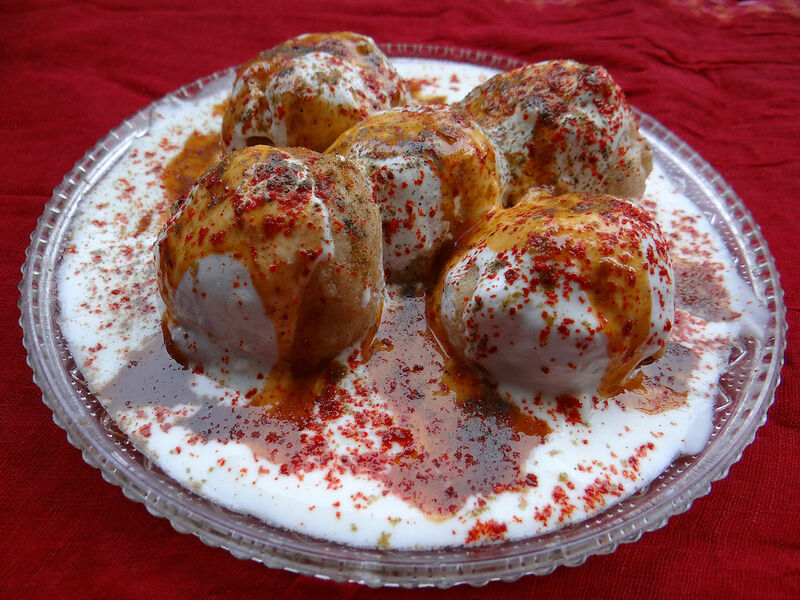 Dahi vada is historically significant for holi, as its origin can be traced back to the 1800s when it rose to prominence in and around the Indo-Gangetic plain. Gram flour is used to prepare fried balls or vadas, which are then dipped in yogurt and sprinkled with tamarind chutney and masalas, making it an explosion of flavours. Malpuas are an equally important treat usually consumed on holi, especially when compared with other treats like gujiya or puran poli. Considered to be India’s oldest and most ancient dessert, food historians are of the opinion that malpuas have been an integral part of Indian festivities for the last 3500 to 4000 years, or even more. This treat is extensively popular in Bihar and the surrounding states, and holi is considered to be incomplete in these states without them. 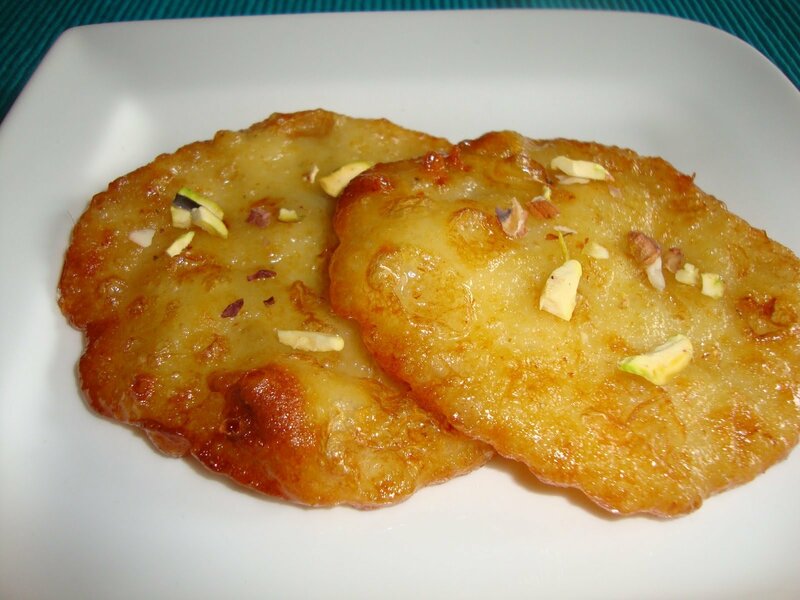 One can either enjoy a single malpua, or can also couple it with rabri to enhance the taste and flavour of this pancake-like dessert, dipped in syrup made with sugar after it has been deep fried. 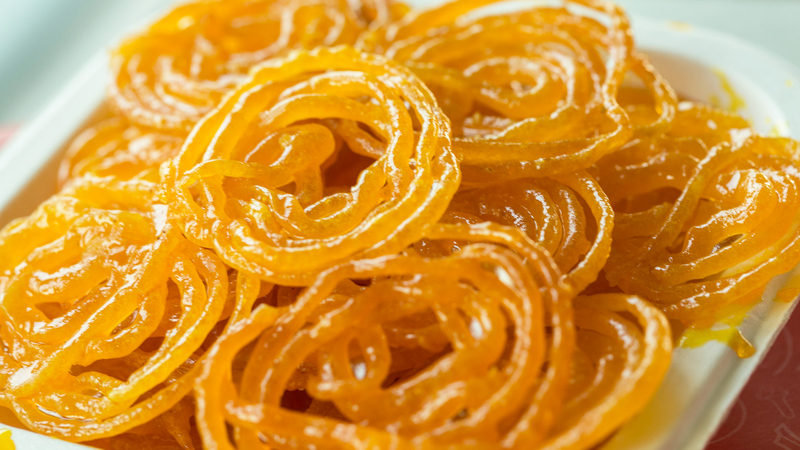 If you are a Bengali, then your holi or dol jatra simply has no meaning if you do not have succulent jalebis or jilipis on the auspicious day of holi. The main emphasis of holi in Bengal is the love shared by Radha and Krishna, which is celebrated not only with gulaal and water, but also with a swing festival that involves placing idols of Radha and Krishna on a swing and worshipping them. Once the pujas have been performed, people indulge in jalebis, made with fermented rice flour, wheat flour and dal paste, which is deep fried and dipped in sugar syrup.